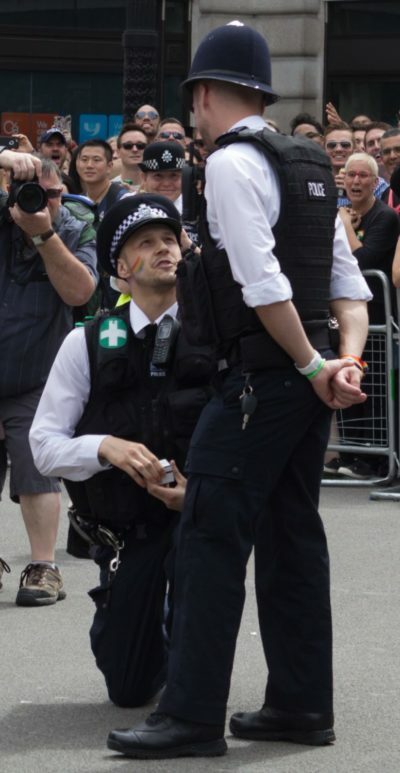 And through the years, depending up on the location, there remains a wary-yet-improving relationship between police and the LGBTQ community. In late-1970s San Francisco, with Harvey Milk on the board of supervisors and George Moscone as mayor, city government challenged police to break the pattern of harassment and abuse of the LGBTQ community. But, after their assassinations, the progress regressed. On trial for their deaths, former supervisor Dan White, also a former police officer, was convicted on voluntary manslaughter and not first-degree murder. The city exploded in the White Night Riots. It took years to build a tolerant police force. 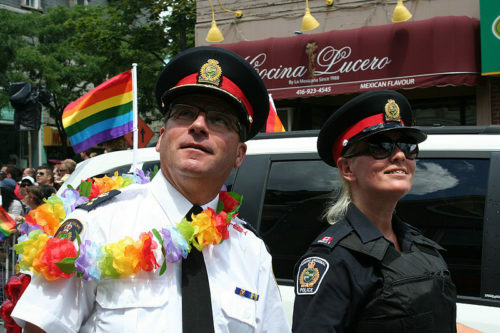 But the LGBTQ relationship with police in Toronto remains a rocky one. 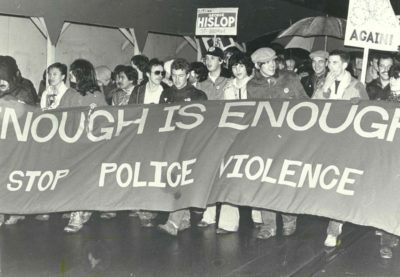 Toronto’s 1981 demonstration against police raids in bathhouses.